UPnP (Universal Plug n Play) is something that everyone misses with Nokia N8 and we surely hope we have this in next firmware release which is due early next year. 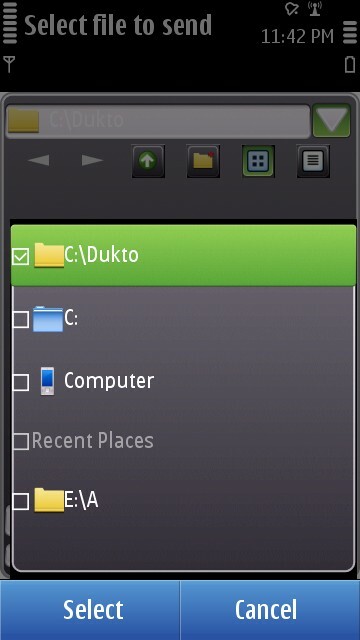 However, you can still use an application called Dukto to transfer files from your phone to PC. Dukto is an amazing application developed by Emanuele which is available free of cost. Dukto is a combination of two applications which includes a client which has to be installed on your PC and the main application to be installed on your phone (only 81 kb). 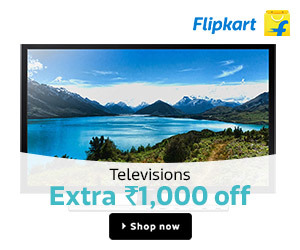 The supported operating systems include Windows (XP, Vista, 7), OS X (intel 10.5.x and 10.6.x) and Linux. 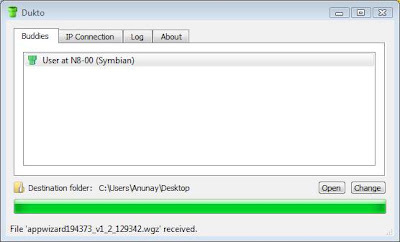 One of the amazing features of this application is that the client on the PC recognizes the phone as soon as you launch the application and allow the application to use your WiFi connection. There are no configurations of any type required to use this application. This makes using the application very user-friendly. 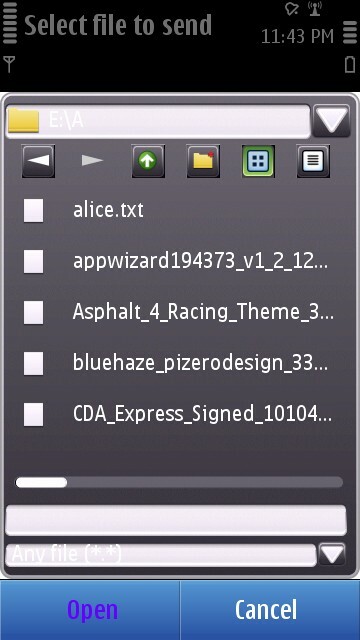 You can transfer any file from your phone to your PC. You do not need a Bluetooth or a USB connection anymore. You can transfer videos, images and other files at WLAN speed which of-course is better than BT and USB. You can transfer text messages from your phone to your PC. 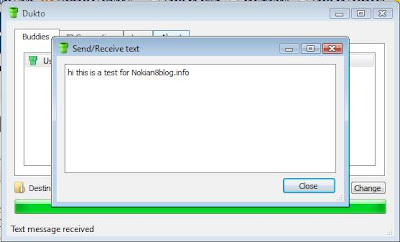 Say you receive a SMS with a link to a website, you simply copy and paste in Dukto and have it transferred to your PC. It's just so simple. 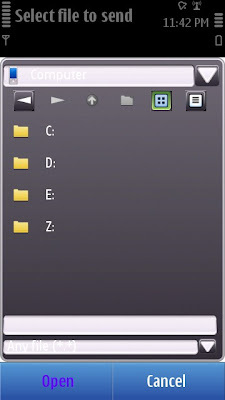 You can send files to multiple computers in your home network using the IP or Host name of the PC. However, all these computers need to have the Dukto client installed. The only downside of this application is that it allows a one-way communication. 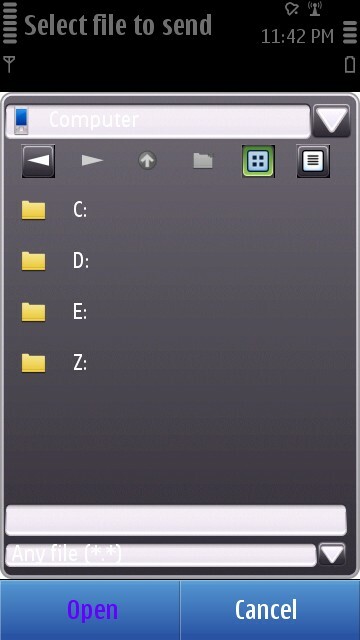 It does not allow you to send back the files to phone. You can only use it to send files from phone to PC. 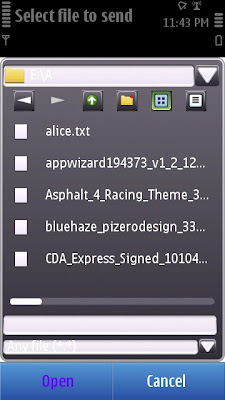 However, to download files from PC to phone, read these. Note: It is mandatory to install the Windows client on your PC to use the Dukto application on your phone.